I read an interesting list of inner city landlording tips that Jeffery Taylor with http://www.mrlandlord.com sent out for the author of the ebook Building Wealth With Inner City Rentals. It's really important to the community and your property values for low income landlords to have some involvement in the neighborhood. Visit your local neighborhood association from time to time and let people know who you are. I like to donate some money to the groups I attend from time to time for their special events. It's important for small business owners working within the community to be a part of it and show our goodwill. To show that we aren't that evil rich landlord that so many think. Sure, there are a few oddballs in the neighborhood groups that will hate you no matter what because you are a landlord but don't worry about them because they are not an adequate representation of the community. Most will like you and will end up getting a much different impression of how things work when you explain to them what can and can't legally be done. 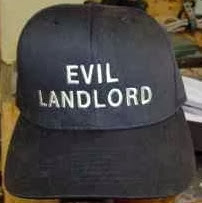 I feel confident in saying that the neighborhoods that I rent property in feel that I am "one of the good landlords" as I have been told many times. That is mainly due to my involvement in the community. Many of the points listed below for inner city landlords are things I have been doing for a long time now. If anyone is interested in finding out what neighborhood groups are in your areas of rentals, reply to this email with the roads they are on and I'll tell you. I can also lead you to the date and time of the next meeting. 1 - Respect your hood - Simply being an inner city landlord grants you a little celebrity; use it to esteem others. 2 - Show up after something bad happens - This act of kindness directly helps your bottom line through lower vacancy rates and a higher sense of loyalty. 3 - Fight disorder within and beyond their property lines - Disorder creates an atmosphere that encourages illegal activities. The neighborhood's appearance is your business; advocate for it. 4 - Harness the collective voice of Property Owners - Disorder flourishes when property owners don't communicate. Collect the contact information of all the landlords on your block. 5 - Be a Landlord's Landlord - Encourage other landlords to work towards the common goal of a nicer neighborhood. They will happily lend support if you take the lead. Landlords that create safety also create equity. 6 - Support annual community-building traditions - Local events and festivals give neighbors an excellent excuse to meet each other. 7 - Promote and circulate good news - Like blight and disorder, good news also has a snowball effect. Actively spread good news to help change perceptions of your neighborhood. 8 - Support local reputable businesses - Encourage residents to support local businesses that cater to them. Simultaneously, use the power of your collective voice to reduce the density of non-reputable businesses (liquor stores, massage parlors, etc.) that bring neighborhoods down. When you practice these habits, you will help build momentum to overcome any problem! Changing a neighborhood is a marathon, not a sprint, so don't quit until your inner city neighborhood becomes the next big thing. Thank you for helping me spread the word about the potential of inner city landlords. Large and small companies give back to their communities as a way to increase goodwill and ultimately improve their businesses. It's a common best practice. Giving and advocating should also be a common best practice for inner city landlords. I'm an inner city landlord and your comments were very well taken. You have a very solid understanding of what is required to build a strong neighborhood which as you suggest leads to higher property values and rents. Tenants Being Naughty... / NEW REALITY SHOW!! !